Our mission as a chapter is to help develop men to become leaders of our community at Oregon State and leaders later in their life, professional or otherwise. Nationally we offer many leadership development opportunities such as LeaderShape, Altitude, and Encounter; programs that were created by ATO Nationals, some of which have branched out to be employed by many other fraternities and sororities. We strive to give men the chance to have their voices be heard, be part of something bigger than themselves, and develop bonds with brothers that will last a lifetime. We at the Alpha Sigma chapter of ATO pride ourselves on being more than just a fraternity, but a family. One of our defining characteristics is a close-knit brotherhood where everyone has a personal relationship with each other. Any question regarding our unique brotherhood or our chapter in general can be addressed by our Chapter President Carter Marr (503-927-4145; marrc@oregonstate.edu) or our Recruitment Chair Domenic Maccari (541-639-7762; maccarid@oregonstate.edu). 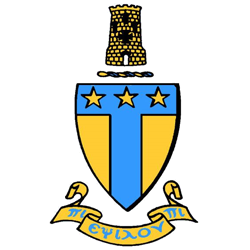 Alpha Tau Omega was the first fraternity founded after the Civil War with the goal to repair the divide country by reuniting the youth of the North and South. ATO was also the first fraternity founded as a national organization, founded not in imitation or in opposition to any existing fraternity, and the first fraternity founded on Christian values. The LeaderShape Institute, Inc is considered one of the the country’s premier leadership development training programs available to college students and young professionals and was founded by Alpha Tau Omega Nationals. The Oregon State Alpha Sigma chapter of ATO is the oldest chapter at Oregon State having been founded in 1882. Beneficiary: Oregon Paralyzed Veterans of America, South Corvallis Food Bank. The proceeds generated from ATΩ Stars and Stripes will be sent to the Oregon chapter of the Paralyzed Veterans of America located in Salem. Oregon’s own PVA is committed to the re-integration of our nations spinal cord impaired and diseased veterans. The funds generated from the event will be used so that paralyzed veterans can get the help they need. The main goal is to assist those soldiers who are paralyzed in any way possible for the adjustments of a new and very different life. Some ways that PVA helps is by removing barriers in the homes of soldiers to make it more accessible, keeping in contact with VA hospitals, and to give these veterans the opportunity to do recreational activities. Another frightening fact is that 13% of homeless in the U.S. are veterans and even more go hungry. We are looking to spearhead a food drive to raise awareness of this fact.